A breathtaking, never-before-seen glimpse into life on tour with David Bowie, by the late singer's official tour photographer. In 1983 David Bowie set out on the Serious Moonlight Tour, his biggest ever. On the road with him was his official photographer, Denis O'Regan. Few artists and photographers have had such a close touring relationship. This book is the result: a never-before-seen photographic portrait of a year with Bowie, from the theatre of performance to his most unguarded moments. 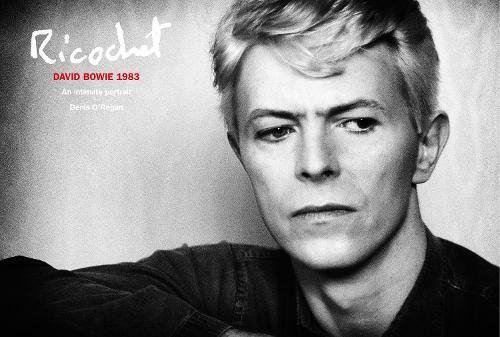 Introduced by O'Regan and with every single image personally approved by Bowie, this is an intimate view of an icon at the height of his fame. This is a fabulous book & a must buy for any David Bowie fans. The photographs are a mix of stage and of stage moments during the Serious Moonlight tour in 1983. Do not let the price put you off, treat yourself.